I’ve been practising with my Prismacolor pencils again today. I’m really enjoying learning how to use them… it may soon be time to splash out on a bigger set! 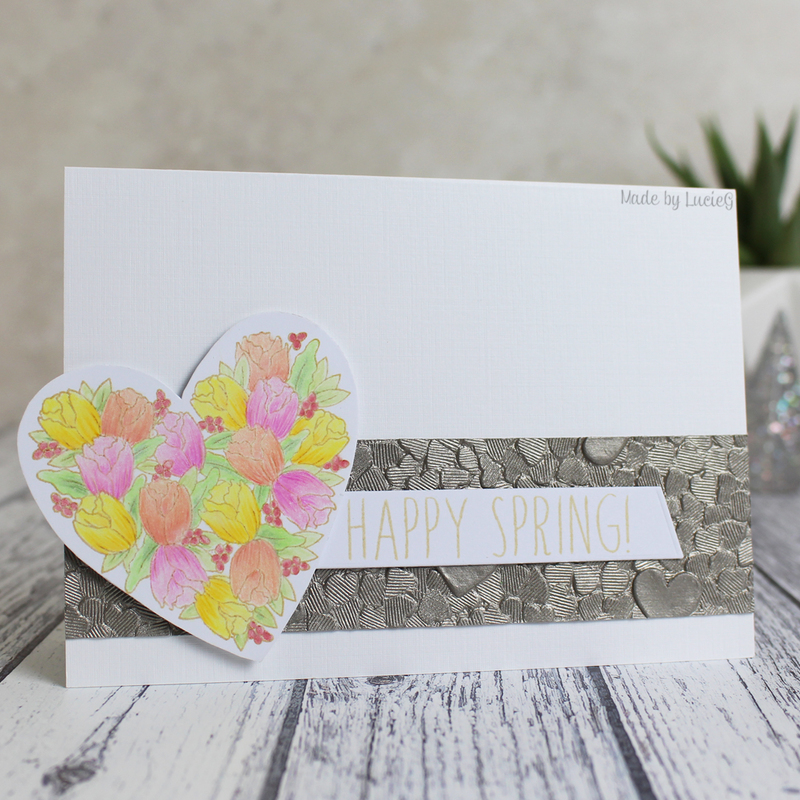 Anyway, today I used the beautiful tulip heart stamp from a new Simon Says Stamp set… yep! I bought an entire set for that stamp! Such fun to colour! You may be seeing this again before spring is out! I decided to play along with the current Freshly Made Sketches challenge so used the challenge design and added a sentiment from an older SSS set plus some beautiful handmade paper from Tonic Studios which I got this week. I’m very impressed with the quality of the paper and it cut very well with a craft knife! I’m entering this card into the current Simon Says Stamp Flickr challenge – anything goes and the Uniko colour challenge (once I’ve found out where the challenge linky tool is!). The theme for this week’s Simon Says Stamp Wednesday Challenge is ‘add a sentiment’ with a focus on Impression Obsession products. I love Impression Obsessions sentiment stamps – so many of them make me chuckle and this one seems very apt for me at time… hopefully you can relate!!! Anyway, I added it to a background I had created ealier this week when trying out my new Tonic Studios Nuvo Glimmer Paste with a Dylusions stencil. Love these pastes! Although the pink is a quite bright for me in real life!